Attention Ned Yost: Danny Salazar deserves to be the starting pitcher of the AL All Star team next month in San Diego. Salazar was dominant again tonight in a 7-inning shutout effort against Atlanta, the team’s 12th win in a row. 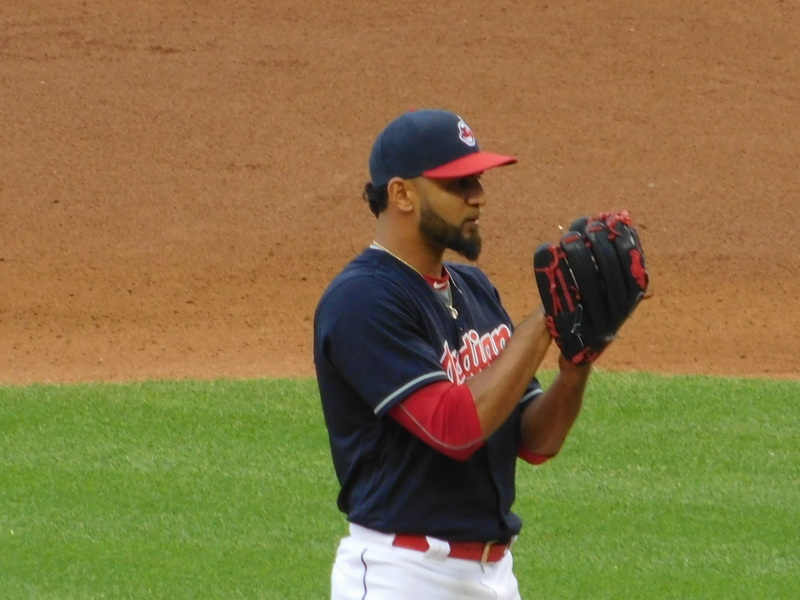 He allowed just 5 hits, struck out 8, and did not walk a single batter en route to his 10th win of the year, capping off the best calendar month in Salazar’s 4-year career. He went a perfect 5-0 in 5 starts with a 1.91 ERA, giving up just 20 hits and 7 runs in the entire month of June. The hot picks for who should start the All Star Game for the AL seem to be Boston knuckleballer Steven Wright and Chicago southpaw Chris Sale. Wright leads the league in ERA, but is only ahead of Salazar by .04 (2.18 to 2.22). Sale has three more wins and one less loss than Salazar, but Salazar’s ERA is nearly 1/2 run better. And two of Salazar’s three losses? They came in solid 7-inning performances where the Tribe couldn’t provide run support in 2-1 losses. He could easily be 12-1 instead of 10-3. Danny Salazar is second in ERA by a hair, second in wins, and 5th in strikeouts after his 8 punchouts put him over the century mark Wednesday. He’s first in pitcher’s WAR for the AL (which could help his Cy Young case) and hasn’t lost a game since May 22. Salazar has absolutely filthy stuff and is so much fun to watch. Oh, and he’s been the best pitcher on the best starting rotation in the American League. But let’s be honest, we don’t need to tell Ned Yost how good Salazar is. He’s 2-0 against Kansas City this year and has given up just 1 run in 15.2 innings. Just this once you can have him start for your team, Ned. Don’t waste the opportunity.